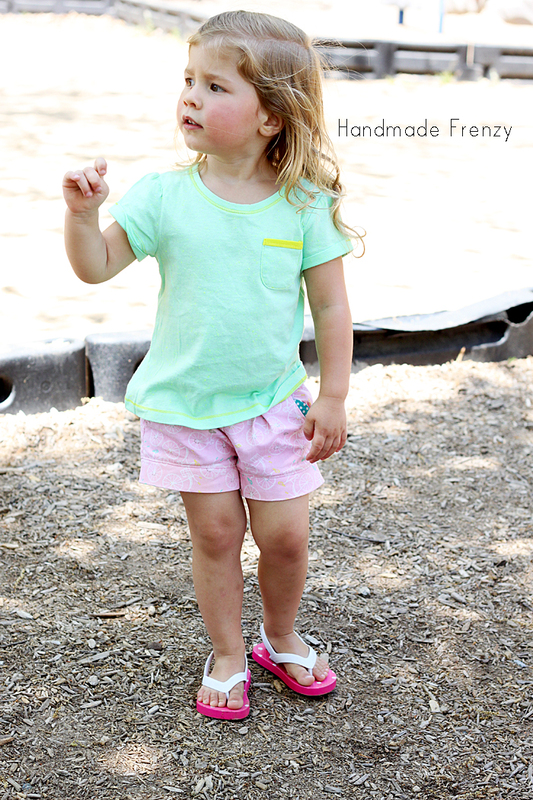 HUGE Sale on MHC Patterns!! Hayley from Mouse House Creations is celebrating her ONE YEAR pattern selling anniversary with a huge, huge sale on every single one of her patterns! It is a 50% discount, which is HUGE, guys! 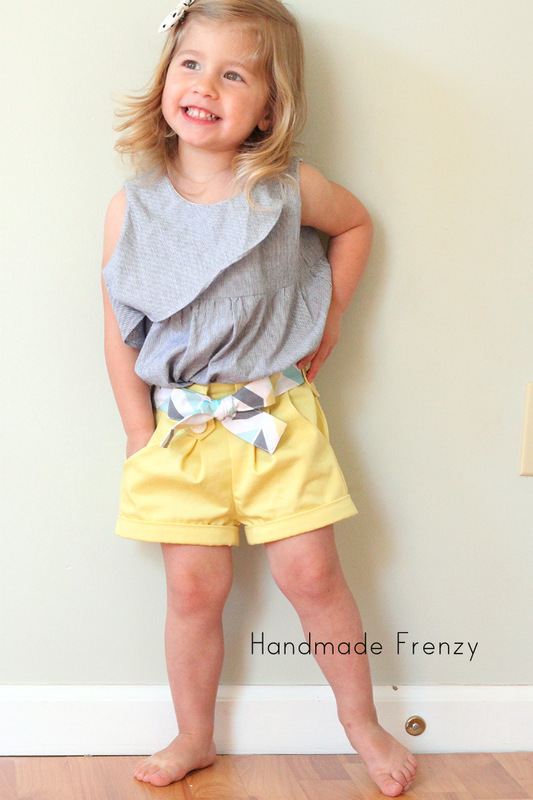 I have sewn up several of her patterns over the last year and I adore each one that I've had the chance to use! 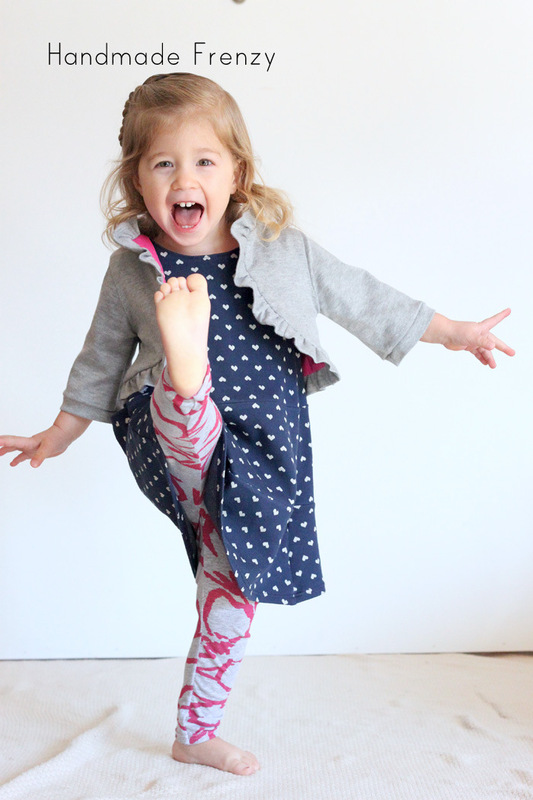 The first of her patterns I sewed was The Norah Dress. 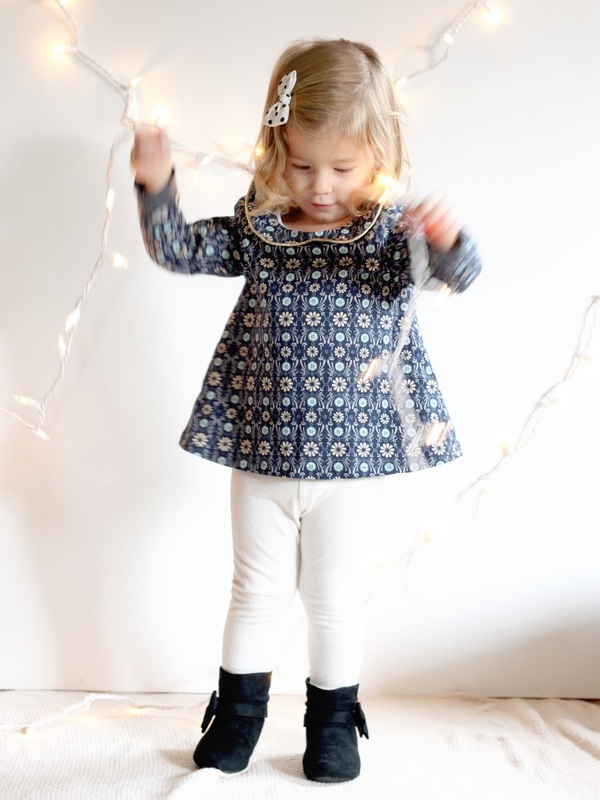 She wore this little top to nearly every holiday party we went to last year and got lots of compliments on it! The dress is still in regular rotation. 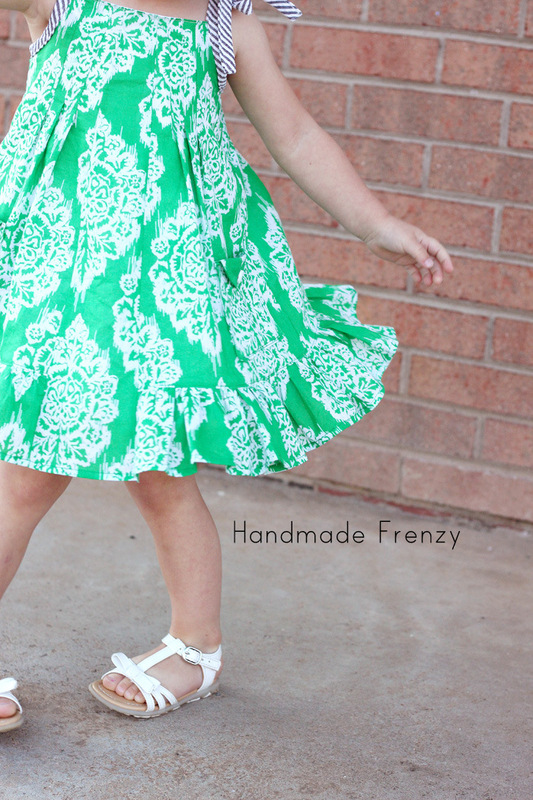 It works great with a tee under, as a sundress or with a cardi. A dress for all seasons! 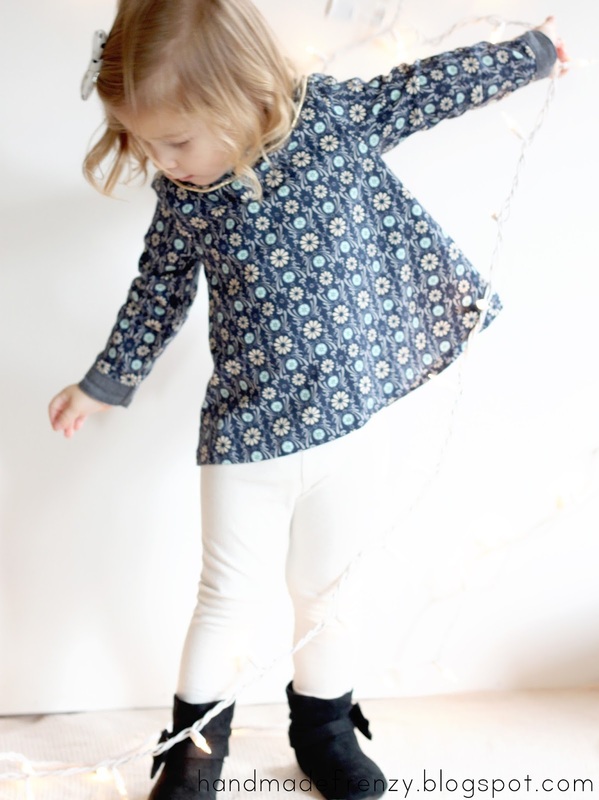 It's getting too short now which makes me oh so sad, but I have plans for another long sleeved Norah to get us through this winter and I'm quite sure she needs another knit sundress version for the next year or so as well! 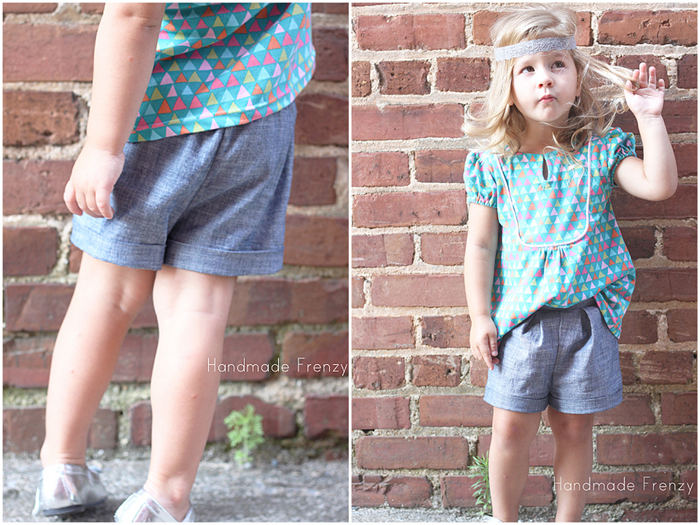 And of course the ever popular and our favorite, The Clover Shorts! And this version, which I can't wait to pair with tights and boots this fall! And last but not least, this pair which goes with EVERYTHING! 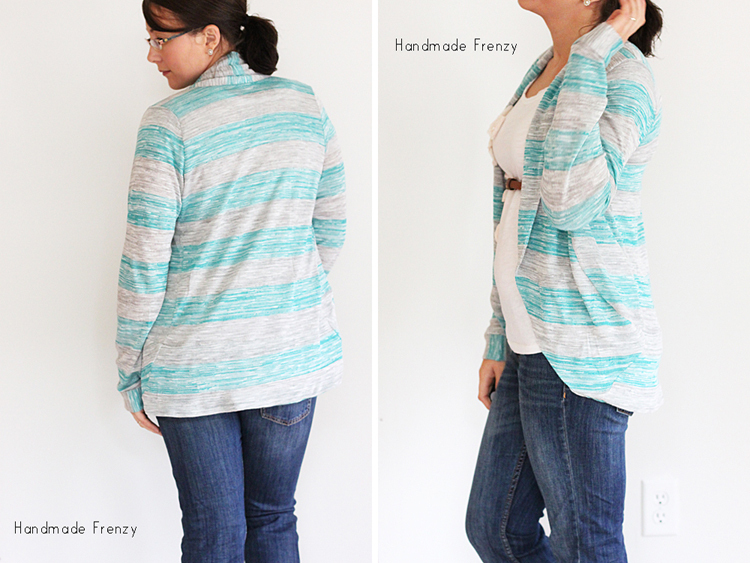 And most recently this Julia Cardigan that I sewed for myself! *Blog post here* I have another one on my cutting table right now. Must get sewing! In the meantime. Happy shopping and happy sewing!! Use the code: thanks50 for the 50% discount! The sale runs only through Monday, Oct. 20th, so don't delay! woo hoo! I've been eyeing the Julia Cardigan for a while now, thanks!